Fête Fanatic: Rock Candy Rocks! 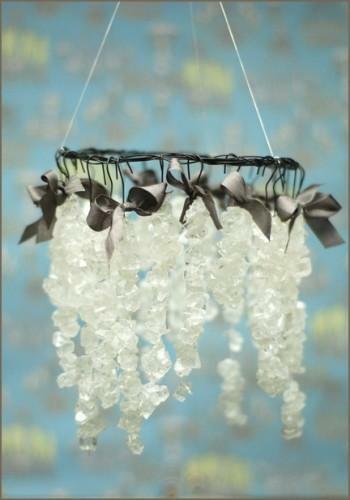 Rock candy has a special charm which adds that extra flair to just about anything it's used for. I try to incorporate it where I can when designing sweets displays. It gives a touch of colorful sparkle to the table. I am currently working on a little rock candy project for this weekend's Wedding Party Bridal Event. 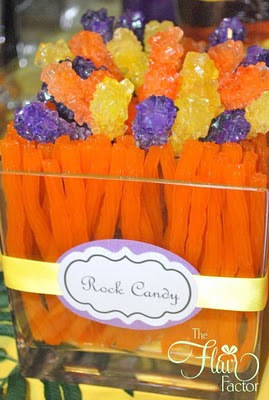 So I decided to share some pretty neat ways you that you can use rock candy for that extra special touch! 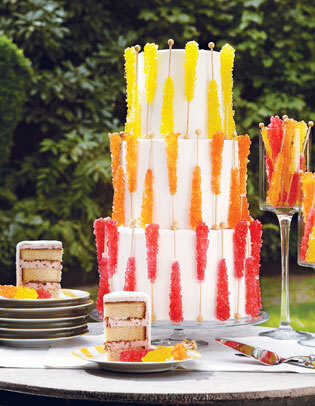 How cute is this rock candy cake? Rock candy is so pretty! I'll be sure to share the results of my rock candy project next week. I am so inspired by this! Know of any sugar-free rock candy? I would like to incorporate rock into my treats for a fitness event. Love, Luv, Love this!! Beautiful work! Inspiring and colorful!